Home Gadgets 66Audio BTS Pro Review – Are these a Joke? These things look GREAT from the website, but in person, that’s a whole different story. I will give them some credit, but I needed to do a full-on BTS Pro Review so that I can cover all of the nitty-gritty. I’ll admit, I was overly impressed by the design and presentation from the 66 Audio website. Some of the graphics on there, might compete or even smoke what Beats Audio and Apple have done to show off ANY of their headphones. I give a big two thumbs up for whomever they’ve hired to manage their website, seriously. But the website isn’t what interests me. It’s, the headphones that I was buying and hoping to want to keep after their arrival. UPDATE: 2/10/2017 – 66Audio has reached out and offered to send an improved version of the BTS Pro Review that is coming out soon. I will edit this post with any new findings once I have had a chance to review them. I was looking for something to replace my Jabra Revo headphones since I was wanting something for jogging and only because, the Revo’s aren’t really designed for that. They are the over-the-ear and over-the-head type that would probably fall off too easily. I’ve used them plenty of times while writing these blog posts, working on other projects and especially while traveling. 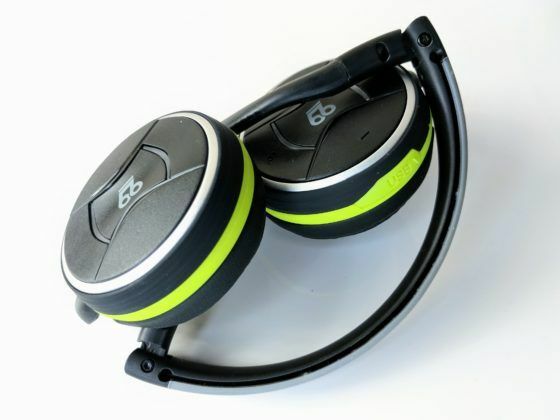 The Jabra Revo’s have since been redesigned with a newer model for half the price, now called the Jabra Move. As for why I had my eye on the 66 Audio BTS Pro’s, I wanted something that would work for jogging that didn’t have to go “into” my ear. I’ve never really been a fan of in-ear headphones. Mostly because, I couldn’t ever find the right size ear-piece to go along with them. Many brands give you quite a few sizes to toy with, but the options I’ve tried, just wouldn’t work for me. In-ear headphones have always made me feel like something is really in my ear and it’s hard to not think about it the whole time I wear them. 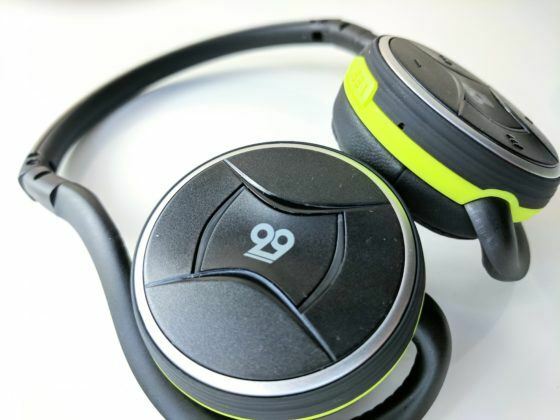 I was almost ready to pull the trigger on the Jabra Sport Pace wireless headphones, before going on google for one last time to do a search for “USB-C bluetooth wireless sports headphones.” After thumbing through a few search page results – I saw the 66Audio website, describing the BTS Pro’s. I haven’t thought to search for USB-C headphones previously, but since I’ve been trying to migrate completely to USB-C and after picking up the new MacBook Pro with USB-C, I figured it was worth a look. The USB-C feature is what gained my attention right off the bat, but I wasn’t expecting to see what I saw on the 66Audio website. It was a brand I’ve never heard of before and that’s a bit rare for me, being that I am a gadget fanatic. After seeing all of this, and for only $129.00, I thought – WOW. These last longer, have USB-C, probably have better bass with the larger speakers and are cheaper than the PowerBeats3. I was sold! Continuing the BTS Pro Review – The Bad and the Ugly. The BTS Pro’s, have a unique design to them. They went over your ear, yes. But instead of over your head, they wrap around the back. They hold in place because they compress together a bit and they also sit in-between the top of your ear and your head. Basically, they rest above them like sunglasses sit on your ears. After seeing all of the trendy photo’s of people wearing them on the 66 Audio site, it seemed like a no-brainer. It appeared as if would be comfortable to wear. These things, were very uncomfortable. When I first opened the box, unfolded them, and put them on. I thought, this can’t be right. I took them off, looked at them more closely, and tried again. Ok, so they might require a little bit of adjusting to fit exactly the way they are supposed to. I don’t consider myself to have an odd-shaped head, I’m not the smallest guy in the world, nor the shortest. I’m 6’3, 210 lbs, and my head-shape is square-ish? So, there isn’t any reason these headphones shoudn’t work on my head. The thing is, the website describes this band between the earphones, as a high quality, soft touch type material. It has a little bit of the “soft-touch” silicone on there, sure, but the website description left out the part about it being dominantly plastic. The problem is that they are too rigid and aren’t flexible enough to accommodate everyones head comfortably. I even tried these on my 11 year old sons head, but worse. It made his ears look like elf ears! They squeeze your ears so much, that they make them tilt out and upwards! The band is just way too firm. I can’t imagine them even being comfortable for a 4 year old! I tried to wear them later on to see if I would get ear fatigue. I didn’t last 10 minutes before I wanted to take them off. Sound Quality, and Everything Else. Despite them being uncomfortable to wear, I wanted to see how they sounded. They weren’t the best at pairing with my Google Pixel XL, but after a few tries, it worked. I loaded up Google Play Music and started checking out a variety of tunes. They sounded pretty good! The Audio was quite clear and the bass was better than expected. But wait… after skipping a few tracks and waiting for the audio silence to pass during buffering or loading, I thought – what is that noise? Oh man… That’s some noise feedback. I started to play around with the volume controls to see where it may be coming from. I discovered that on anything below about 30% volume, even while listening to a song, I could hear some scratchy distortion. Almost the same type of noise you hear from a vinyl record when the track is over. So, I decide to try and narrow it down further. I paired it with my MacBook and then my iPhone. Nope, problem is still there. The Final Thoughts in my BTS Pro Review – Wait for Next Version? So, it seems there is some serious hardware or firmware issues that need to be worked out on this device. While, I give them an A for effort on cramming all of the features in, these things aren’t at all ready for market. I was also disappointed by the plastic material these things are built with. They could of done a better job. Currently, there is only an iOS App available, while the Android App is not yet released. I get it, smaller companies need to start generating revenue so that they can make their next versions even better. But for now, no one should buy the BTS Pro’s from 66 Audio. They just aren’t ready. Even if they fixed some of the audio and pairing bugs, they need to redesign the band. You should wait until the next-generation BTS Pro is released, which will likely be at least another 6-12 months out. 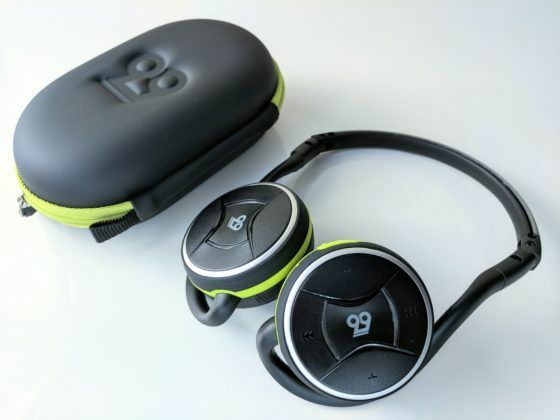 You’re better off with either the PowerBeats 3’s, Jabra Sport Space, or the Plantronics BackBeat Fit. 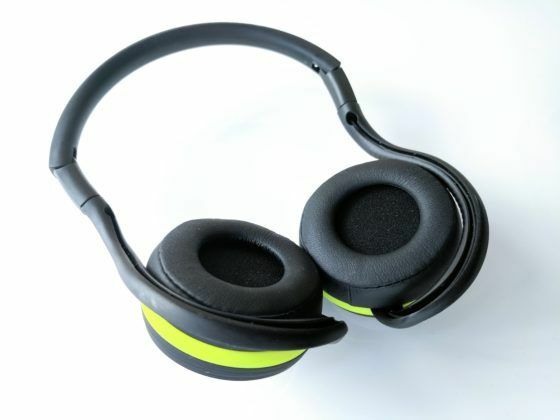 While these headphones only have "looks" going for them, there are plenty of other options out there that may not look as cool, but deliver in audio and comfort for a lower price. Be sure to check out at my other recommend options if you are wanting something for similar purposes. Previous articlePowerBeats3 Go On Sale, for a Limited Time Only!